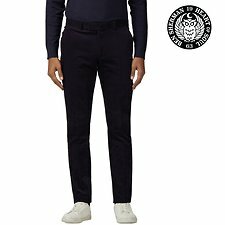 Our Ben Sherman tailoring is crafted on the modern Camden Fit block; a sharp, slim cut narrow through the leg and tapered at the ankle. This navy cord 2-piece suit is cut from quality British cloth with a luxurious hand feel, made in the UK by Brisbane Moss. 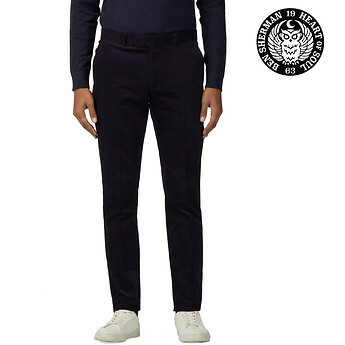 The traditional fabrication of corduroy combined with this stunning deep navy colour gives a modern interpretation of British sartorial elegance. Inspired and considered details in the design of this suit give a subtle nod to brand heritage. Feel confident and stylish in this suit - wear sharp with a button-down oxford shirt or for relaxed, easy menswear style casual with a knitted roll neck.